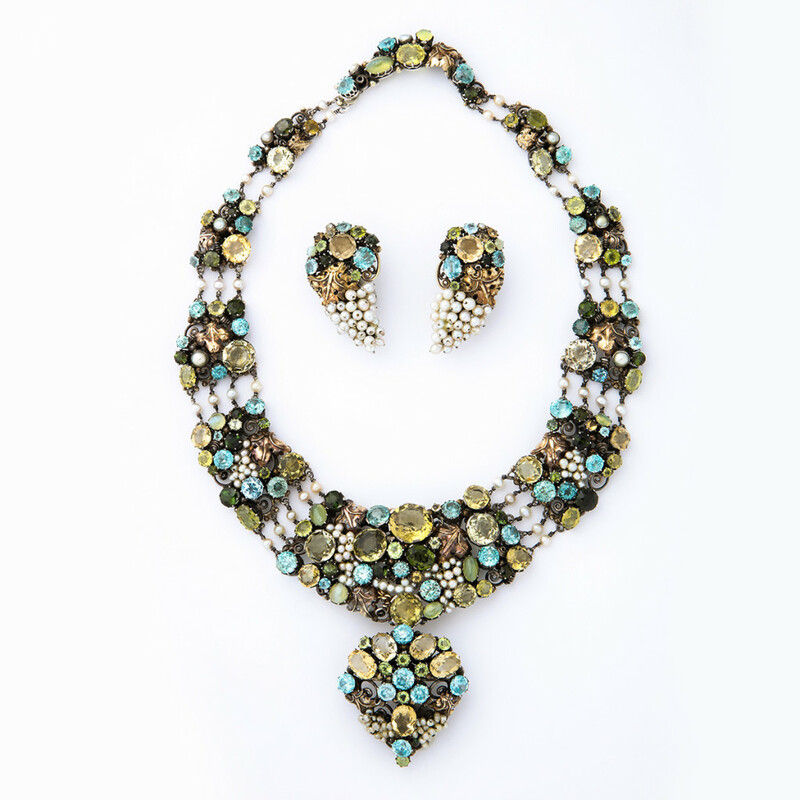 Necklace and earrings comprising natural seed pearls and mixed gems, including citrine, aquamarine, topaz, and alexandrite, set in gold and gilded silver. With removal brooch/pendant. Dorrie Nossiter (1893-1977) was an English jewelry designer working in the Arts and Crafts movement. 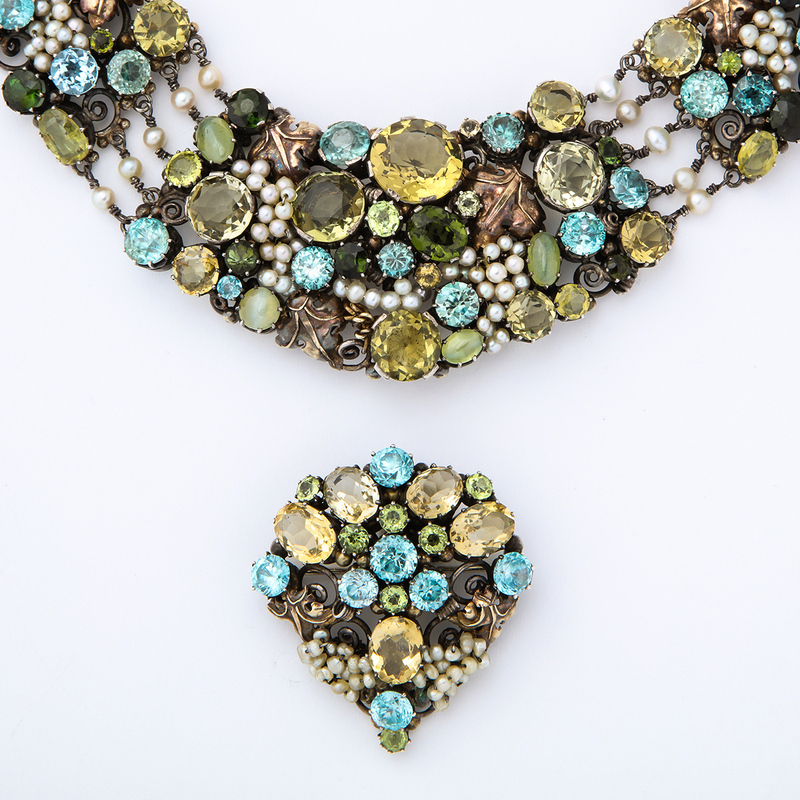 Her work is characterized by floral motifs with curved lines and colorful gemstones. She studied at the Municipal School of Art in Birmingham from 1910-1914. She exhibited at London’s Walker Galleries from 1935-1939 and was among four women featured.